Model-year 2020 will mark the arrival of Tesla fighters from the European luxury car brands. Earlier this year, we got the Jaguar I-PACE, and Audi, Mercedes-Benz and Polestar are all preparing their competing offers. Audi is actually dropping its e-tron in dealerships next month, making it the very first all-electric vehicle from the carmaker. Looks promising, except, we’re not sure about the promised range. Up to 326 km. That’s how much you’ll get from your e-tron, at least, that’s according to the EPA. It’s somewhat low, especially when compared to a Jaguar I-PACE (386 km), a Tesla Model X 75D (383 km) or even the upcoming Polestar 2 (440 km). That range isn’t only inferior to its rivals, it’s almost unacceptable considering its starting price of $90,000. You can currently get more from less expensive competitors such as the Hyundai Kona Electric (415 km) or the Chevrolet Bolt EV (383 km). Each of those are sold below the $50,000 mark, while being eligible to applicable incentives. Granted, Audi will sell a genuine luxury vehicle, on par with the rest of its lineup, as well as standard all-wheel drive. And we have no doubt its ride and handling will be impressive. Our journalist Gabriel Gélinas seems to believe so in his first drive of the thing. But to be totally honest, these qualities can also be found in the cars of its British, American and Swedish rivals. It’s 0-100 km/h acceleration time is also lower than the I-PACE’s. 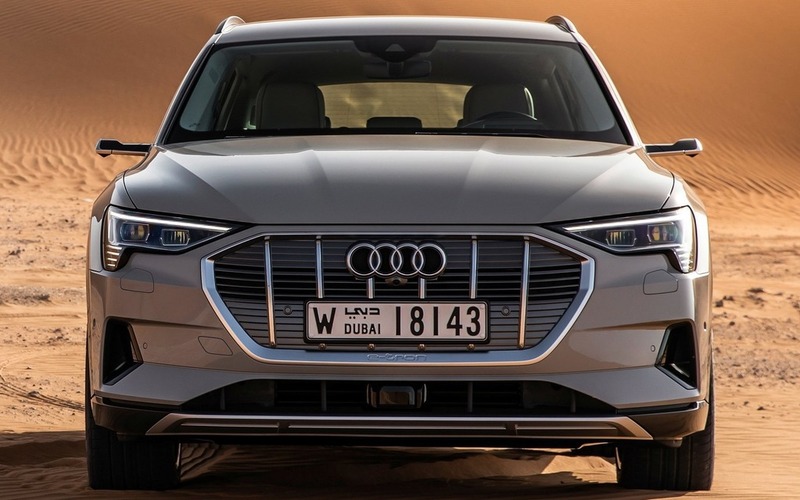 Audi does nevertheless promise a free and unlimited membership to the Electrify Canada network of charging stations, as well as a 4,000-lb. (1,814-kg) towing capacity, which gives it an edge over the Jag. You might say range doesn’t tell the whole story about an electric vehicle, and we agree. The Audi e-tron should please a wide range of consumers. But at that price, there are already more interesting options out there.